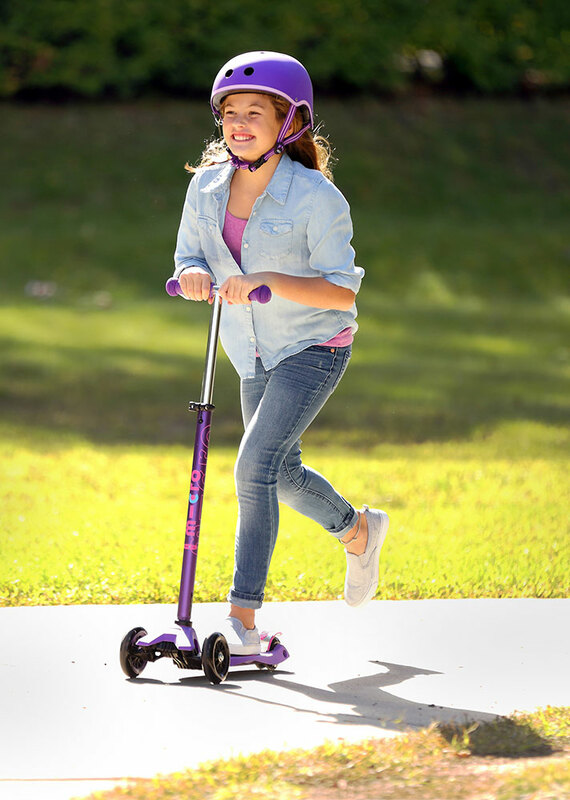 Beautiful design creates peak performance and a smooth, quiet, awesome ride! The maxi supports up to 150 lb. 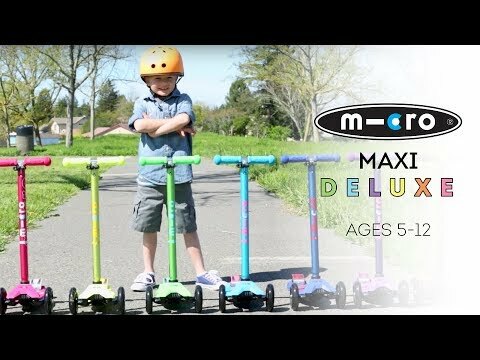 For ages 5-12 yrs, from Micro Kickboard.